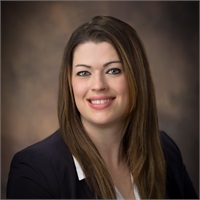 Alyssa joined Commonwealth Financial Services in June 2011 as an Operations Associate and she is now the Director of Client Services & Trading. Alyssa graduated from West Liberty University with a Bachelor of Science in Business Administration, also earning induction into the International Honor Society of Business, Delta Mu Delta. She holds the following licenses and designations: Financial Paraplanner Qualified Professional™ , FINRA Series 6 and 7 registrations through Securities America and Life and Health. With her experience in the financial services industry, she is our firm’s primary trader, and she also services our clients by opening new accounts as well as attending to client needs. She and her husband currently reside in the Wheeling area with their son and two dogs. Alyssa is actively involved in her child’s education and currently serves as the Treasurer of the PTO. She enjoys spending time with family and friends, spending time outdoors, and watching football.